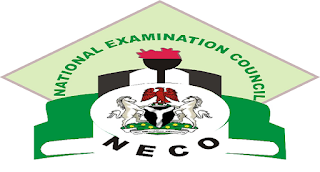 The National Examination Council (NECO) announced the commencement of the sales of application form fro the 2018 Senior School Certificate Examination for External Candidates. Senior School Certificate Examination (external) is majorly for candidates not in the School system. NECO GCE – General Information. The Registration fee, once paid, is not refundable. Candidates should carefully follow the instructions on the on-line scratch card before registration. How to Apply for NECO GCE. BIOMETRIC FINGERPRINTS WILL BE CAPTURED DURING THE REGISTRATION. THEIR FINGERPRINTS ARE CAPTURED CORRECTLY DURING REGISTRATION. THOSE WITH MISMATCHED FINGERPRINTS AT THE POINT OF VERIFICATION WILL NOT BE ALLOWED TO SIT FOR THE EXAMINATION. Passport Photograph of candidates will also be required during on-line registration. The passport photograph should NOT be more than six months old and must be of white background. The Registration Pin will be purchased online through the NECO website. The NECO GCE Form Registration fee is Eleven Thousand Three Hundred and Fifty Naira (N11,350) only, excluding Fifty Naira (N50) Stamp Duty. All payment should be into NECO Treasury Single Account (TSA) SSCE (E) through the NECO website. NOTE: THE REGISTRATION FEE DOES NOT INCLUDE THE USUAL SERVICE COST CHARGED FOR REGISTRATION BY THE ACCREDITED CYBER CAFES. Registration period begins on Monday 16thJuly and ends on Tuesday 9th October, 2018 at 12.00 midnight. Each candidate is expected to download ONE (1) clear copy of the Attestation Card from the cyber cafe where he/she registers. Please note that: CANDIDATES ARE NO LONGER REQUIRED TO STAMP OR SUBMIT THEIR ATTESTATION/PHOTO CARDS IN NECO STATE OFFICES.A CLEAR COPY OF THE DOWLOADED ATTEST ATION/PHOTO CARD, DULY SIGNED AND STAMPED BY AN ELIGIBLE REFEREE SHOULD BE PRESENTED DURING THE EXAMINATION. Blind candidates are to register like everyone. However, they are to inform the NECO State Officer of the State where they intend to write the Examination, immediately after they register. A copy of each blind candidate’s Attestation Card should be collected by the State Officer for further action. Please note that the Albinos and Blind Candidates are to be given 30 minutes extra time across all papers. Principal of schools that are to be used as centres for this Examination will as usual, be appointed as Coordinators. Please, liaise with them to ensure that they give the necessary support for the successful conduct of the Examination. Please inform Candidates that complaints on registration will be treated on-line via email neconigeria@yahoo.com or support@mynecoexams.com.